I’d like to preface my review with a reminder of something I said in an earlier Review. My idea of a good book is one that you can’t wait to get back to. Another thought of mine is that a good book, is one that even though you want to find out what’s going to happen next, you don’t want the book to end. This is such a book. The story begins in 1974, with Leni a 13 year old girl dreading going to her first day of school at her fifth school in the last four years. Not a bit easy for a lonely young girl. You see, her Dad, Ernt can’t keep a job because “nothing ever worked out the way he wanted”. He is a Vietnam veteran who had been a POW. He came back to his family a totally different man. He was not only scarred emotionally but also physically. Unfortunately, his anger is hardest on his family. Cora (his wife) and Leni adore him, but also fear his violent outbursts. Then, out of the blue Ernt receives a letter from the Dad of his best friend in Vietnam who had died there. His friend had left him “forty acres with a cabin that needs fixing” in Alaska! This is a new beginning for the family and they leave for Alaska in a VW bus with high hopes and little else. This book speaks to the incredible beauty of Alaska, the many dangers of living in Northern Alaska in 1974 (the expression used in the book is “that you can make two mistakes – the second one can kill you”) and the characters various types of love. There is young love when Leni finally has a friend named Matthew. Toxic love shared by her parents when Cora lives in constant fear and pain. And finally, the love of virtual strangers who make them welcome in Kaneq and teach them all the skills needed to survive in the wilderness. 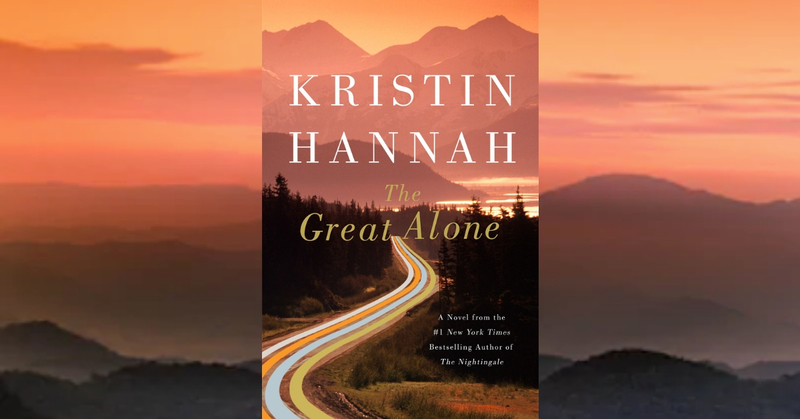 Kristin Hannah is an incredible author with a descriptive writing ability that amazes me. If you read the Nightingale you probably agree. Happy Reading! CLICK HERE TO VEW THE ARCHIVE OF BOOK PICK REVIEWS.